How do I get a USM Card? Replacement Fee - $20 Fee for lost/stolen/damaged cards. 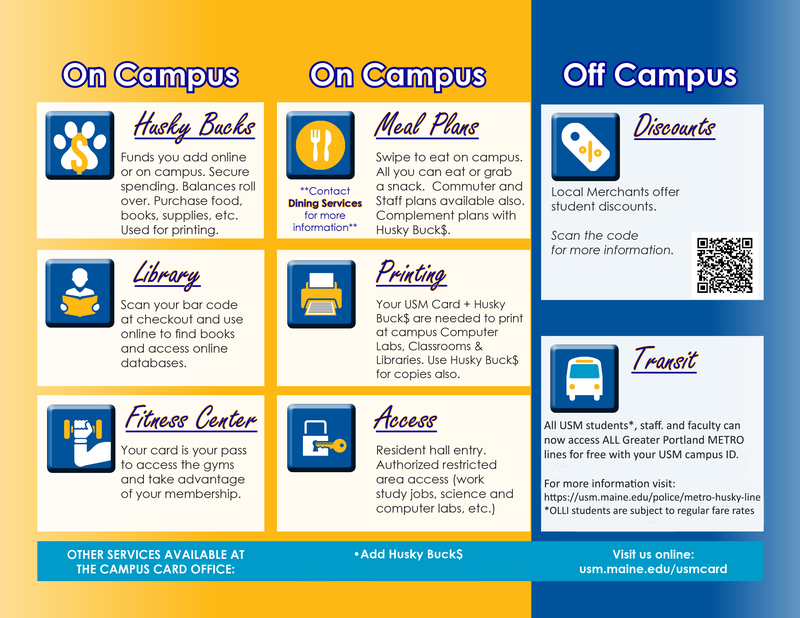 The fee is placed on enrolled students' bills, all others must pay before their card is issued. Cards are valid for seven years, if you lose your card within that timeframe you will be subject to the Replacement Fee. 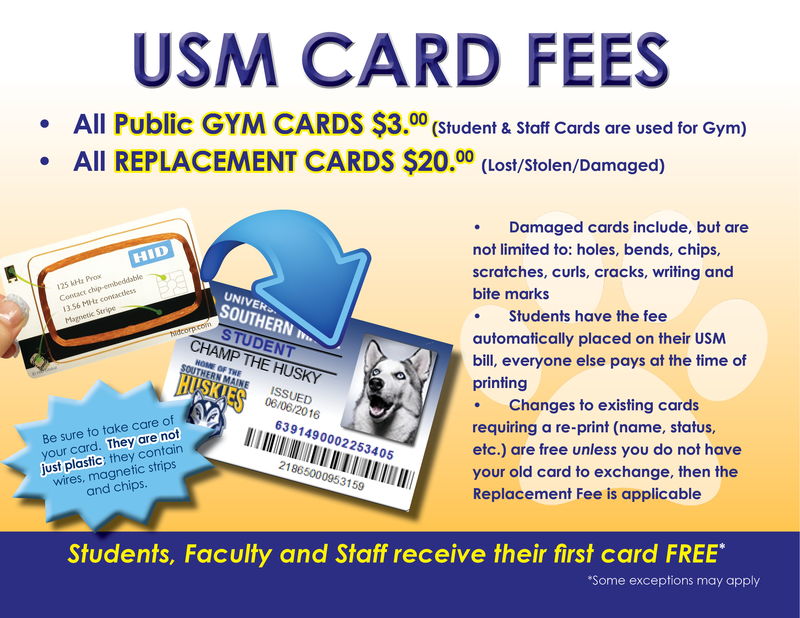 Gym Card Fee - Your first gym card will cost $3 (you must present your gym receipt). The Replacement Fee is applicable for Gym Cards as well. 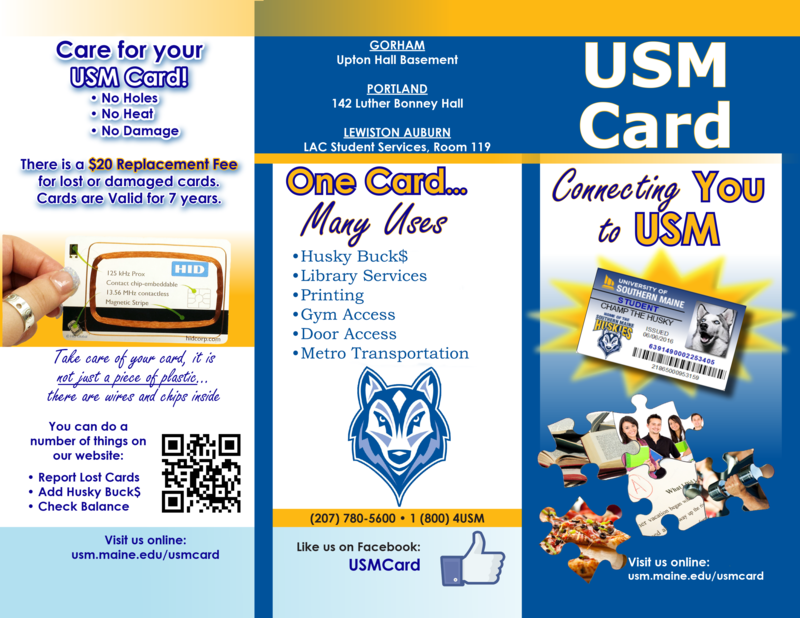 Other Card Fees - Vistor, Intern/Volunteer, Department and Temporary Staff cards may have a $15 fee. The Replacement Fee is also applicable.